Think you’ve tried every adventure sport out there? Think again! 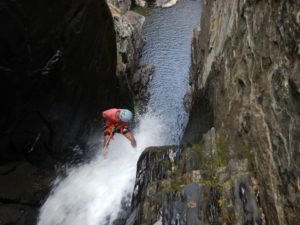 There are quite a few unique adventure sports that have become popular in India only in the last year. It’s time to add them to your Bucket List and check them off so you can go and brag about it to your friends! This looks like some sort of a futuristic jetpack straight out of a sci-fi movie. But it’s actually a simple, cool invention that makes you wonder ‘Why didn’t I ever think of this?’. 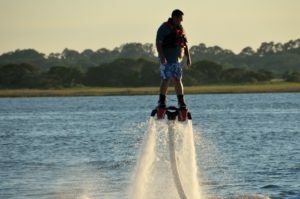 Your feet are strapped to a board and there’s a water jetpack beneath each foot. The board is connected to a Jet Ski with a long tube, that supplies water to the jetpack. The water goes from Jet Ski to Jetpack, and then under your feet. Up you fly! Trust us when we say it’s really easy to get a hang of. You can learn the basic moves in under 10 minutes. You also don’t need to super fit or anything. And if you stay at it long enough, you can even take charge of your own speed. You’ll be diving in and out of the water with the kind of grace that will make even dolphins jealous. These things are seriously awesome and something every adrenaline lover needs to try. Try this only if you’re up for a rugged experience! In this sport, you’ll travel across a Canyon. A canyon is a split between two valleys. 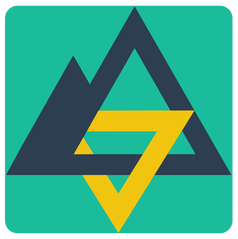 You’ll be using several techniques – walking, climbing, jumping, rappelling and swimming. It’s possible that you might find yourself completely soaked to the bone, wading in chest-deep water, gasping under heavy waterfalls or even sliding down a hard rocky terrain. There could be minor cuts and bruises too. But the activity is just perfect for those wanting an active, rejuvenating wilderness trip. Turn your childhood dream into reality, and fly a microlight plane; literally, float in the clouds. 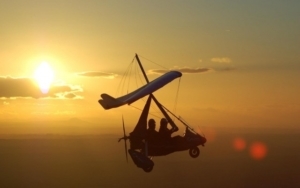 A microlight aircraft is designed for carrying just 2 people. You will be the co-pilot of the flight and learn the nuances of flying. The activity is the perfect opportunity for those wanting to take a ride in the cockpit of one of these crafts, along with a professional pilot, of course. You taxi your plane on the runway and if you are up for it, you might even be allowed to do the landing as well. Nothing can give you the adrenaline kick as this one! Beach lovers say ‘Aye’! Lovers of treks say ‘Aye’! Ocean lovers say ‘Aye’! This one is for anyone looking to try something different. Being at a beach is always a treat. To add a twist, how about a beach trek? 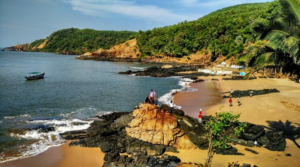 In the Kumta to Gokarna Beach Trek, you’ll be visiting close to 10 beaches- super clean and strikingly beautiful. Most are untouched by regular tourists and only shelter few shacks for beach lovers. Start the trail at Kumta, walk through Vannali, Kadle, Nirvana, Paradise, Half-Moon and Om Beaches to name a few. End the trek at Gokarna, home to a famous Shiva Temple. With every step you take, there will be the sound of waves crashing onto colourful rocks and golden sand and breathtaking views with every little hill you climb. Also, did we mention there’s a ferry ride, camping on a beach and sleeping under the stars? You might even spot dolphins if you’re lucky! PS- Remember, these beaches are beautiful because they’ve been kept that way, with very few visitors. Remember to leave the pace as it was when you arrived. Read our guide to eco-friendly travel. Seen people ropewalking in movies? Slacklining is something very similar. The difference is that you walk on a flat webbing instead of a rope. It gets a sag or slack as you walk on it, hence the name. It’s super tough to maintain your balance, and you’d be working your abs the whole time. 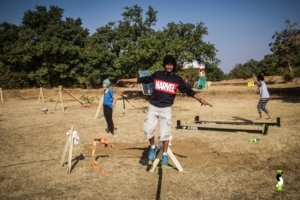 Read the entire list of Slacklining’s benefits. And when you’re ready, you can graduate to the Highline, as you make your way across a valley! 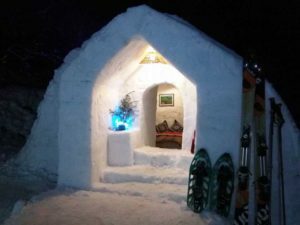 Topping our list of unique adventure experiences is Igloo Camping! Living in an Igloo is what we imagined and wanted when we read about in our textbooks. Now, it is just a matter of reaching Hampta and you get to stay and live like an Eskimo. When you’re surrounded by snow all around, and you’re sleeping in a dome of ice, it is difficult to imagine the feeling of warmth. But contrary to this, you will be surprisingly warm under the cover of fur-lined sleeping bags, tucked in with warm water bottles to shake off the last traces of cold. The Igloo Affair is an experience and a memory which will be etched in your hearts and its warmth in your soul! Also, if you’re heading to Himachal and looking to trek instead, take a look at the unexplored Mountain of Lakes Trek. We really hope you won’t be complaining about adventures activities becoming too mainstream, for a while at least! But hey, maybe these are not quite what you’re searching for. Don’t worry we’ve got multitudes of options in every corner of the country!